blog, a journal of some of our favorite moments with our AMAZING clients! Oh, how we love the colors of fall and gorgeous sunshine for engagement sessions! 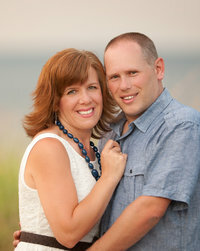 Mandy and Tyler’s session was full of adorable interaction and yummy backlight! We just can’t get enough of it! We had so much fun during our time with them! Looking forward to their wedding next spring!